Following the announcement last August that FOX was developing two spinoffs of the hit series 24, Deadline has confirmed that the projects did not receive a pilot order this season. The producers will expectedly go back to the drawing board as the network is still open to bringing back the franchise. The first series was a planned prequel focusing on the origin story of Kiefer Sutherland’s character, Jack Bauer, with the second set as a legal thriller that would have centered on the 24 hours ticking down until a prisoner’s execution. TV Asahi is currently developing a remake of the series with a 2020 release date set. 24 Japan will be a remake of the series’ first season but adapted adapated to fit its new settings to reflect the country’s culture. The plot for the remake will center on terrorists targetting Japan’s first female prime minister. 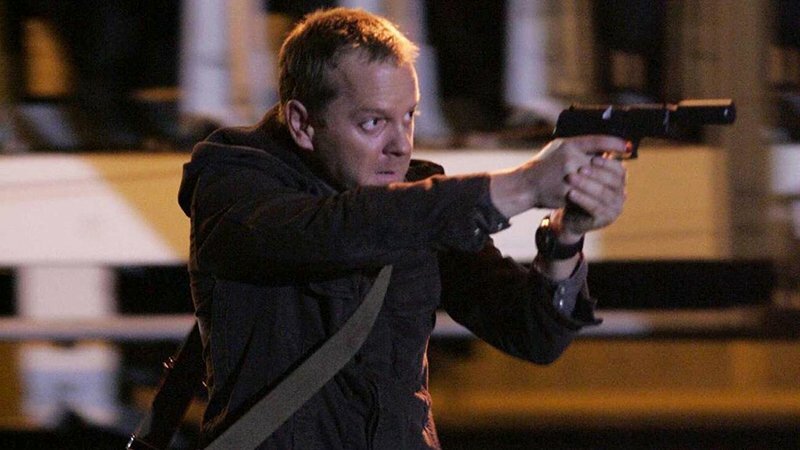 The original 24 had 24 episodes a season (sometimes showing in blocks of more than one hour), each representing an hour in the life of Jack Bauer. It won the award for Outstanding Drama Series at the 2006 Primetime Emmy Awards. After its eighth season, the show beat out Mission: Impossible to become the longest-running U.S. espionage/counterterrorism-themed television drama in history. In 2017, Fox cancelled 24: Legacy, the spin-off series which starred Corey Hawkins (Straight Outta Compton), Miranda Otto (The Lord of the Rings trilogy) and Anna Diop (The Messengers). The post FOX’s 24 Spinoff & Prequel Not Moving Forward at Network appeared first on ComingSoon.net.